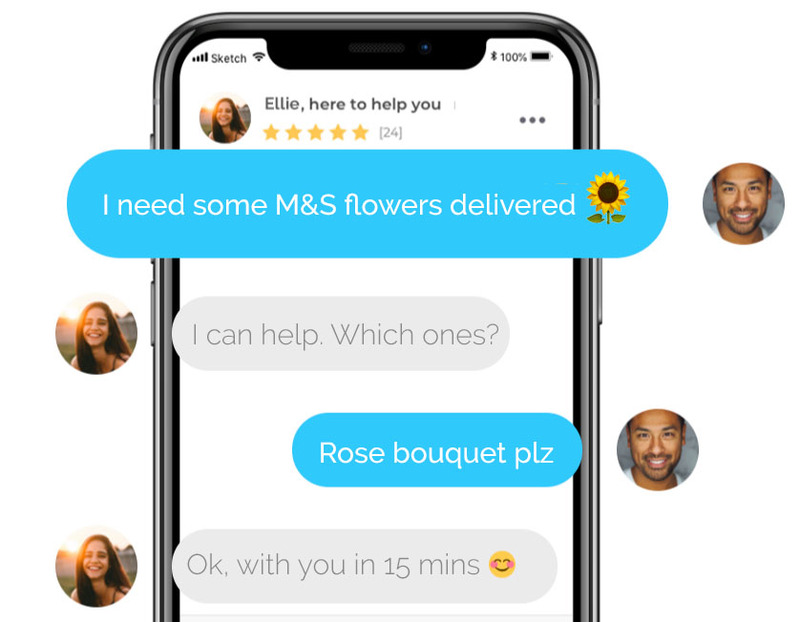 Download and get flowers delivered in minutes from just £2.50. What flowers do you need? Need flowers delivered to your door? With Pinga you can get any type of flowers delivered within minutes. We can deliver beautiful custom bouquets from your local florist or even cheaper options like supermarket bouquets. You can ask for (almost anything) and a trusted Pinga Partner will help you out in minutes. Needed some flowers delivered to a friend. Help! Please can someone get me a strawberry crush smoothie? Need some tinned tomatoes for my bolognaise :( Can someone grab them for me? You discuss what you need directly with your Pinga Partner via in-app chat. You’ll then view the arrival of your Pinga Partner and pay directly via the app.